Browse our selection of quality brands! 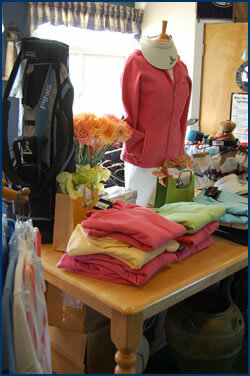 Everything from golf clubs to shoes, including our own comfortable and colorful line of Widow's Walk logoed apparel. TAKE A LOOK AT OUR EXTENSIVE SELECTION OF FOOTJOY CLOSE-OUT GOLF SHOES. GREAT VALUE, WHILE THEY LAST! MOST SHOE STYLES SELLING BELOW NORMAL WHOLESALE PRICING. WIDOW'S WALK IS A CERTIFIED PING CLUBFITTING CENTER. IF YOU'VE NEVER BEEN PROFESSIONALLY FITTED TO CLUBS, YOU ARE LIKELY MISSING OUT ON A SIMPLE GAME IMPROVEMENT TOOL. CALL (781) 544-0032 TO SCHEDULE YOUR PERSONAL FITTING!